My steps crunched loudly on the pebbles littering the beach. I tried to make my way to the hut above the hill overlooking Patar’s Rock Formation but I can barely see anything. 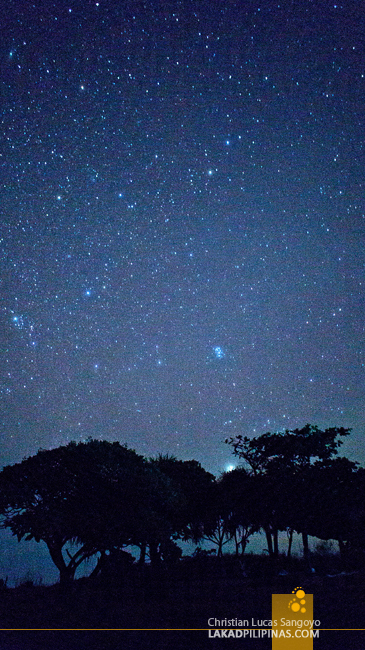 It was seven in the evening and it was pitch black outside my lonely thatched room at the Rock View Resort. 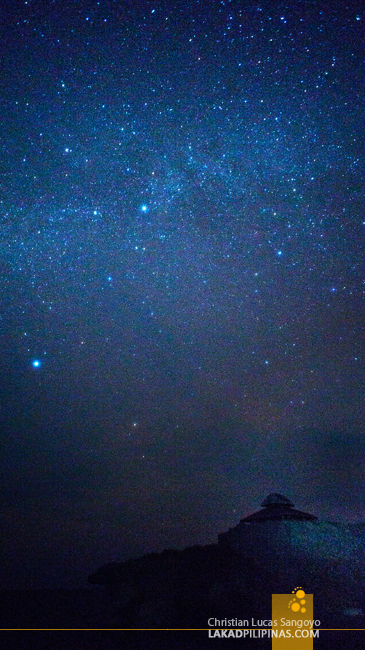 Last night I saw the Milky Way. It was crawling its slow way out of the distant horizon. Even with its millions of suns, it still took a few minutes before my eyes adjusted to the dark and I was finally able to make it out from the multitude of stars. I wanted to see it again tonight, so I braved the night. Borrowing a flashlight from the resort owners, I mustered all the courage I thought I have and went out into the darkness. The only sounds beside my sandy steps were the slow whisper of the wind, the heavy crash of the waves and occasional howl of stray dogs. I kept thinking of abandoning this mad night jaunt and simply turn back. Shooting the heavens without a companion is a surefire way to give one’s self a serious case of the heebiejeebies. 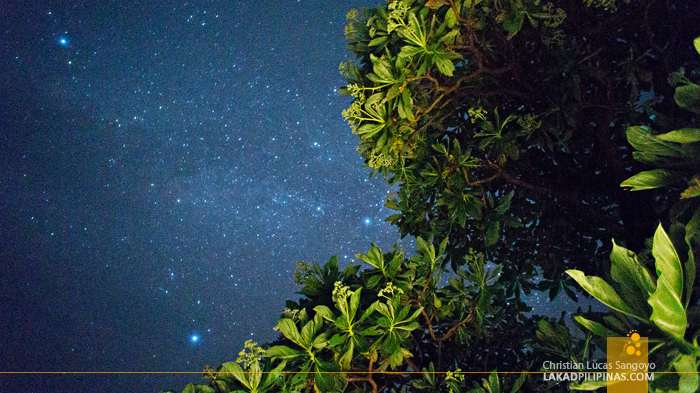 Because it’s not every day that you get to gaze at a sky filled with millions of stars. 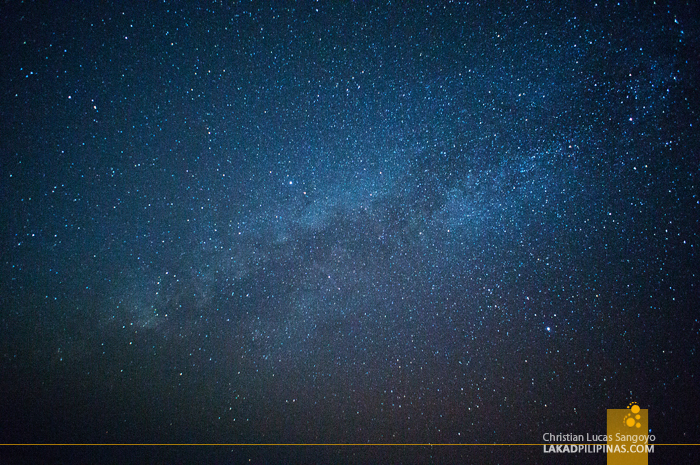 It’s not everyday that the Milky Way appears above the heavens. And it’s not every day that you’re given a chance to capture it as a photograph. You risk everything, you overcome your fears, you step into the unknown to capture something that is truly beautiful. Kuya ang galing ng shots :) Awesome! anong ISO ang gamit mo nito Christian. :-). Yong higher talaga? Ganda ng mga shots. Will try to do this one. breathtaking images! fave ko yung me mga puno saka yung last one! 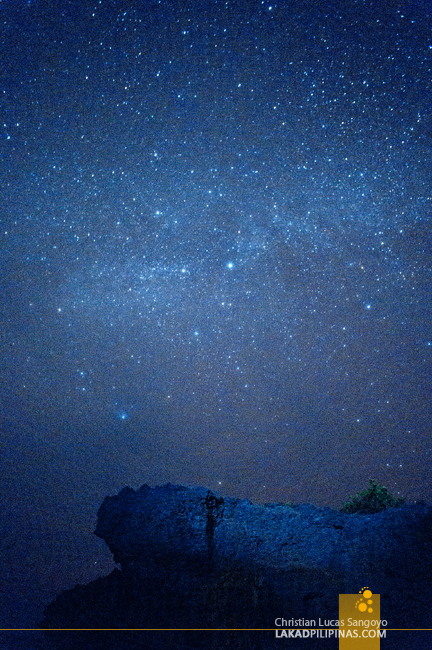 Pwede ko bang i-copy paste yan tapos gawing wallpaper sa sobrang ganda... Amazing talaga ang starry night shots!